Following last week's Digital Britain report, the British government comes under fire from the tech sector this week, with the UK dropping down the Economist Intelligence Unit's (EIU) annual 'e-readiness' league table. The ninth annual E-readiness rankings 2009: The usage imperative ranks a total of 70 countries depending upon the standard of their ICT infrastructure and the ability of the country's citizens, businesses and state departments to use the tech available to them. Worryingly, the UK has fallen from eighth place last year to 13th this year. The US has fallen from number one last year to fifth place in 2009. Specifically, the report looks at each country's technological infrastructure, business, social and cultural environments and consumer and business adoption. Clearly the economic downturn has had a negative effect on most countries within the report, with all 70 countries seeing their business environment scores drop in 2009. EIU editorial director Robin Bew noted: "The results of this year's research underscore the fact that digital development does not take place in a vacuum." 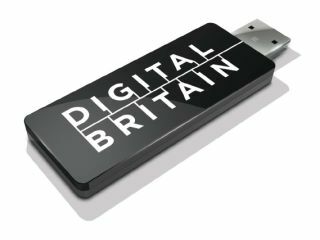 The UK government pledged to invest £175m annually over the coming years in order to improve Britain's broadband infrastructure. The company also noted that mounting concern over the ecological impact of digital devices and networks could lead to further policy constraints for ICT.